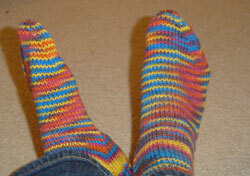 Now that these are finished I thought it would be nice to get a couple of pictures of them on my feet. 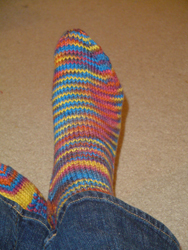 The first sock of the ribbed socks is almost done. I can’t wait to wear them – they’ll be so soft and cozy. Next: Sweet Spring where are you?